Blackjack, also known as twenty-one or 21 is a very popular casino game. Blackjack mixes elements of strategy and chance, a thing that makes it very enjoyable. 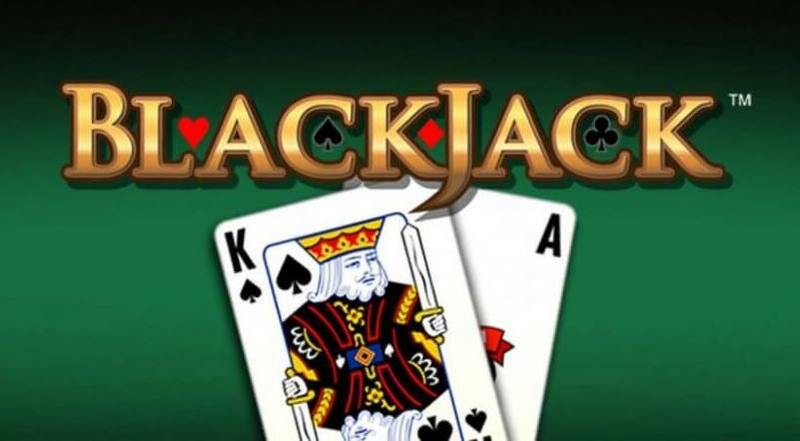 For those who like fact paced games, blackjack is just perfect. Blackjack wasn’t as popular as it is today when it was first introduced in the United States, so casino owners offered the players various bonus payouts , among them was a bonus that was called a black jack. During the years, this bonus payout was abolished but the name stuck to the game. Since blackjack is such a popular game, it is only natural that many blackjack variations will appear. There are so many different variations of this game to choose from, and if you are familiar with the game, and you want to spice up your game, play in one of those variations and the fun will never end. The 10’s are removed from the deck. The player can hit, double down or surrender at any given time, not only after the first two cards. Special payouts for certain combinations of 21 points are offered, for example a special 7-7-7 or 6-7-8 combination. Player’s total 21 beats the dealer’s total 21. The game is played with 6 packs, without the 10’s. Players can hit, stand, surrender, double or split at any given time. Splitting is allowed on any two cards. 21 pays 3-2. Other winning hands pay 1-1. Caribbean 21 is an ace and two 10-value cards. This combination is ranked higher than all the other 21 point hands. Dealer wins all ties except on blackjack. Both cards of the dealer are dealt face up. Double on hard 9 to 11 only. You can split your hands after another split, to four hands. All player win pay 1-1. Double on any first two cards is allowed. You can double after a split. You can split up to three hands. You can surrender at any given time of the game. Game is played with 4 decks. Card counting is a strategy the players use to determine when they have the best probability advantage. Card counting can be used in almost every betting game that involves cards, but most of the time it is used in blackjack. Most people think that in order to count cards you need savant qualities, but the truth is that card counting isn’t only about memorizing specific cards but about assigning heuristic point score to each card and then tracking the total score. The basic thing in card counting is to track the relationship between high-value cards and low-value cards. High value cards are better for the players while low-value cards are a lot better for the dealer. By controlling this information, the player gets the advantage in his bets. This advantage can be very important although it doesn’t give the players automatic winning edge on every hand. The first person to write about card counting was the American mathematician Dr. Edward O. Thorp. Thorp wrote a book by the name of Beat the Dealer in which he outlined various betting strategies for a better game of blackjack. In his book, Thorp showed how some cards are favorable to the player while others are better for the dealer, and how knowing those cards can determine the outcome of the game. During the 1970s and 1980s more advanced methods of card counting came into favor. Various systems like Ken Uston’s ‘team play’ became known among blackjack players and many other systems and ideas were developed and tried in casinos. Card counting is not legal. However, if you’re using only your brain to count the cards, it might be allowed in some places. Computerized devices to count cards aren’t allowed in any casino in the world and if you’re using one while playing blackjack, you’re risking yourself. In Nevada casinos, you might get kicked out of the casino if you’ll use card counting. In Atlantic city casinos, card counting is allowed by law, but the casinos are responding to that with several changes like using 8 decks in a game, lower deck penetrations and so on. One of the major contributors to the popularity of blackjack is the internet. You can find this game in almost every online casino and many avid casino players prefer this exciting game over others. All in all, this game is both challenging and fun, so if you’re not already familiar with it, here’s your chance to play it and enhance your casino adventures.